Backlinks enable you to keep track of other pages on the web that link to your posts. It is a way of expanding the comment feature such that related discussions on other sites can be included along with the regular comments on a post. The backlinks setting can be found under the "Settings" › "Posts and comments" tab, and consists of a single, simple option to turn it on or off. 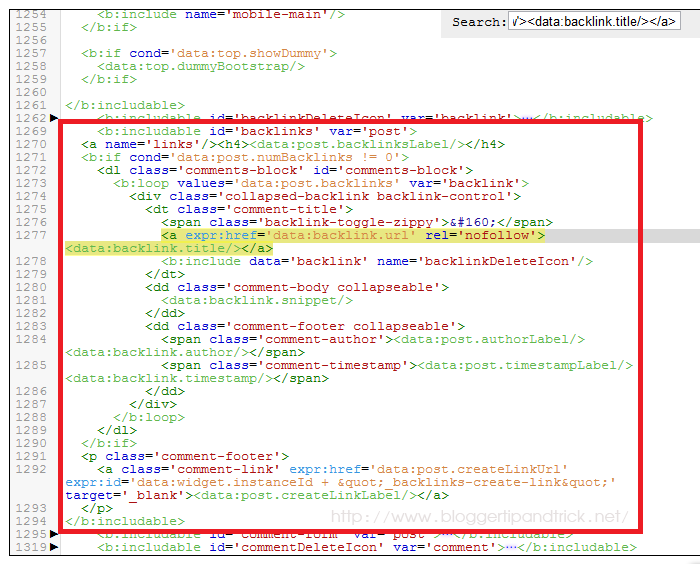 This tutorial explains how to remove nofollow attribute from these blogger backlinks.